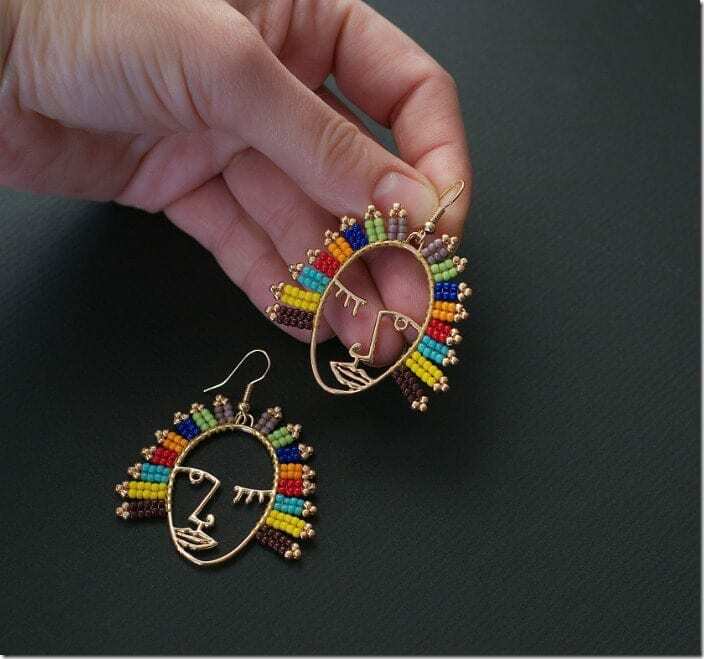 While searching for fresh abstract face earring designs other than the ones we have all seen before, I stumbled across these Picasso style face earrings with a unique vibrant beaded take. They just jump out at you visually and are cheerful and quite festive. They are also great for everyday ear lobes for when you want a happy burst of color to peek through. 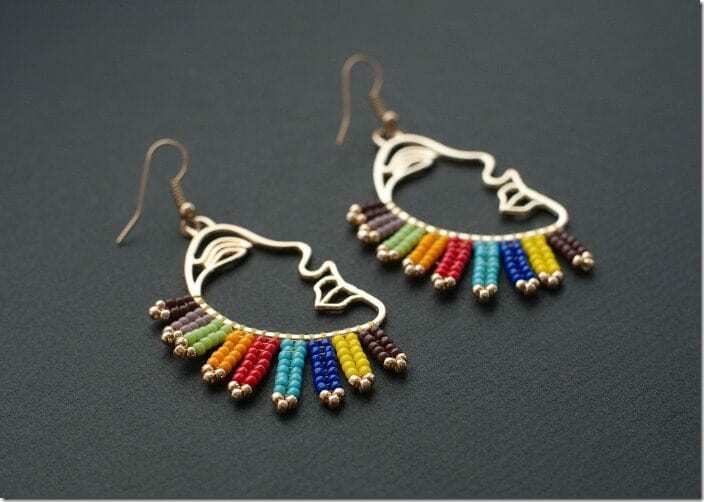 For those of you who are already collecting the minimalist hollow face earring variety, you can now update your face earrings with the ones that are saturated with fun and happy colors. 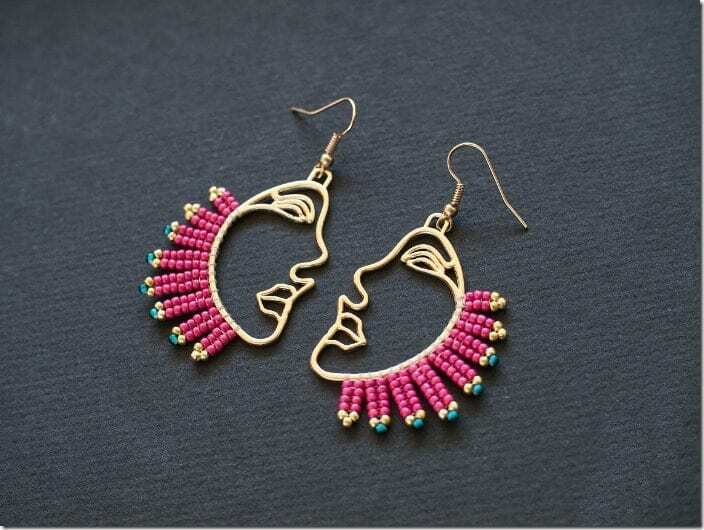 Anyhow, these festive beaded face earrings are seriously worth considering. 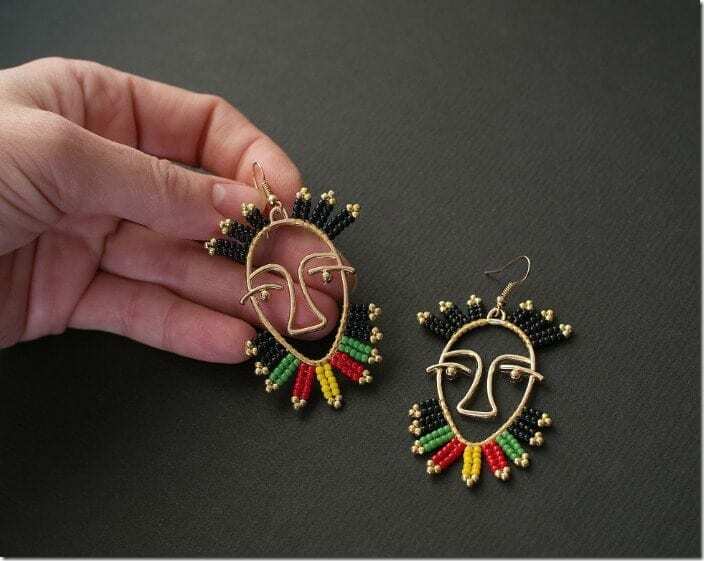 I’ve never seen a design like this up until today and I am so glad to share these captivating face earrings with you here in this space. Enjoy. 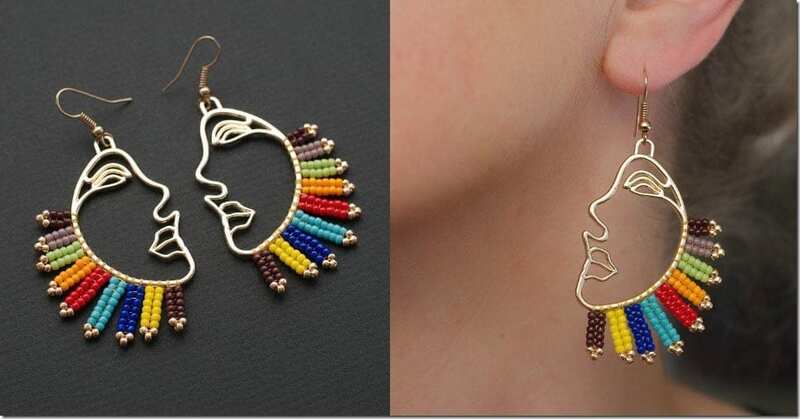 Which beadwoven face earrings would you love to wear? Share below – I’d love to find out. Love the lively intricate beadwork in these hollow face earrings? Be sure to check out HeriniaJewelry for more and give them a follow! Thank you so much for featuring my earrings! Such a lovely surprise! 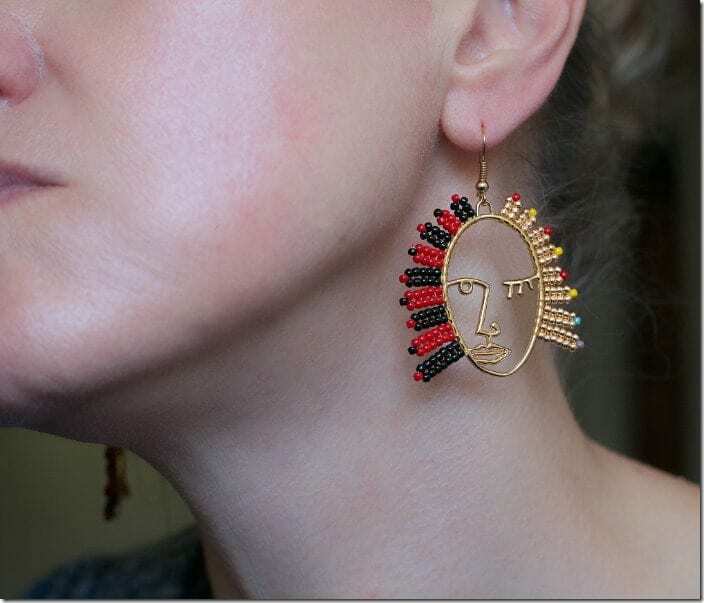 Such hollow face earrings are very popular right now throughout the Internet so I wanted to make them unique and one-of-a-kind. With my beadwork they’ve become more cheerful, more colorful and eye-catching. I knew what to do white them the moment I saw them. 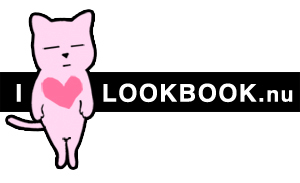 Love this design and will definitely develop it!